How to solve hot water heater problems such as milky and rusty hot water. 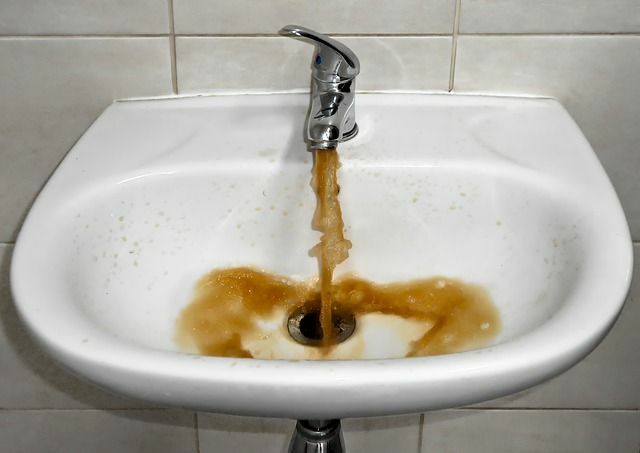 What is the cause of the discolored water problem, symptoms and what you can do about it? Can it affect the heating operation and comfort? 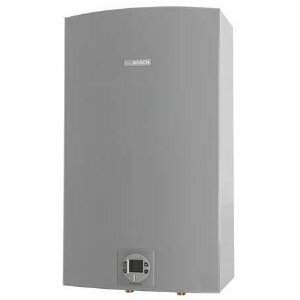 If you have an old, poor quality water heater with a storage tank protected by the porcelain lining, and that is falling apart, or where the tank is corroded, eventually you will see discolored hot water at the shower or the tap. Even newer models with the better quality of glass or porcelain coating, protection and advanced features such as self-cleaning system can produce hot water that is rusty, milky, brownish, unpleasant to an eye, or even unsafe to use. Some of the homeowners will blame a unit, others manufacturer, but in reality - the tank that is made of steel, the water source, public supply, old plumbing metal pipes, water pressure, porcelain coat that wears down, poor maintenance and water action can be the reason for water color change. Note: Potable water in residential homes should be clear and colorless, with no residues. Rust in the water heater is not necessarily from the metal tank corrosion; it might be a result of the non-toxic iron-reducing bacteria that can be found in places like the water well, soil or piping system. Soluble iron in the water is actually food for bacteria, and the result of that process is rusty hot water. Presence of the bacteria will affect water heater anode rod, so regular check-up and maintenance are recommended. If potable water, used for heating, has an increased level of manganese or iron, little or no dissolved oxygen and temperature below 138 F, bacteria will sustain. It will become even worse if you are using softeners (for hard water problem), well water and if water is subjected to long periods of no movement. As with the rotten egg smell that is again caused by the bacteria, the solution is very simple, chlorination of the system. Follow the manufacturer's guide for the treatment. You might want to repeat the process if the plumbing system is heavily infected. Turn off the gas and/or electric supply and cold water. Drain all the water from the tank. Remove an anode rod and close the drain valve. Use one gallon of chlorine bleach for every 25 gallons of tank capacity. Draw the chlorinated water to every single tap in your home. Do not forget the dishwasher and washing machine. Close the drain and refill the tank. Continue flushing until water is clear and without chlorine odor. Don't forget plumbing pipes. Run the heater using instructions found in the manual. Another reason for rusty hot water might come from the sand, mud and clay sediments that will enter the heating system through the well systems, during major water main breaks and repairs or when the new houses are built. Over the years of work and thousands of gallons that pass the system, water tank heaters rust and other particles will also collect at the bottom of the tank. The solution for all these conditions is to drain and flush the heater's tank. Note: Warranty is not related to this kind of hot water heater problems. Milky or cloudy water doesn't have to be a problem related to a heater, as it might occur in cold water lines as well. You can experience discolored water with the old units and recently installed also. Few factors might be involved in the change of a water color change, and the majority of them are related to the home plumbing or city's piping system. Gases such as oxygen, carbon dioxide, chlorine, and other soluble ingredients when released from heating water due to pressure increase will make the water appear milky. Additional air might be present at the city's pumping stations, when the utility company switches the well source, due to aerators at faucets, by low pressure that does not allow gases and oxygen to dissolve properly or when the incoming water temperature changes, so it becomes warmer and causes the air to expand. The solution is to allow water to stand for several minutes so dissolved gases in the form of small bubbles can separate and make the water clear. If it is persistent and it happens often, you can either reduce it with the aerated faucets or simply call the water utility company to check. 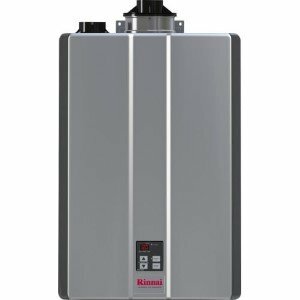 Milky and rusty hot water are just a few of the most common hot water heater problems that are easy to deal with, often with the preventive maintenance or service. Also, keep in mind that these problems do not mean that the heater is going bad, but it is not for drinking and cleaning. The unit should last at least ten years. 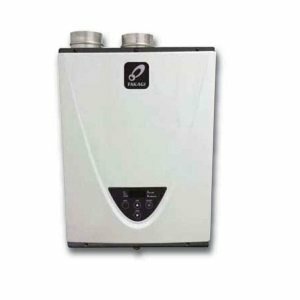 If the problem cannot be solved, if the hot water is not clear for a long time, the unit is not performing as it used to, the efficiency is much lower, strange noise, leaking, and higher energy bill, than the problem is getting serious, meaning you should talk to an expert.